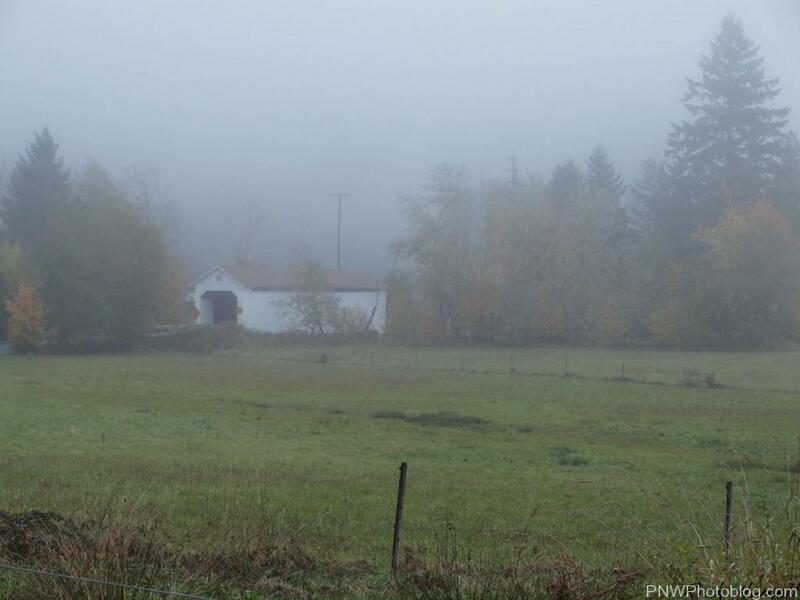 The Lake Creek Covered Bridge is located about 38 miles west on Highway 36 from out of Eugene near the town of Greenleaf. What is interesting about this picture – is that it was about 11am on an otherwise sunny day. A huge fog bank from the Coast covered everything inland for miles and didn’t burn off until nearly 2pm. The Bridge was built of Old Growth trees in 1928 for the low price of $3,155. The ends were replaced in 1970 to repair damage from log trucks, and in 1984 preformed cement pieces replaced the wooden deck. These were leveraged into place under the bridge by a crane since they’re not actually supported by the bridge trusses.